Who am I here to be? What am I here to be? How am I here to be? A couple weeks ago, I attended lululemon’s Here to be Summit in Whistler, British Columbia. Throughout and after the summit, I have been challenging myself on who/what/how I am here to be in this world. For five days, change-makers from around the world gathered in the beautiful mountainous town to talk revolution, yoga, healing, and what it takes to create cultural transformation. Cultural transformation starts with self. The week challenged me emotionally, physically, and spiritually. I left Canada feeling charged up and recommitted to my work in dismantling racism and creating a world that I want to live in, one where every single person can thrive and be well. There is no doubt that lululemon and their culture was created to serve people who look like me, thin and white. In Western societies, the stereotypical yoga student is also someone who looks like me. Conversation throughout our week went to uncomfortable, and very necessary, places– racism, colonialism, injustice, and harm. Harm that lululemon created and harm that lululemon perpetuates was at the forefront of many of the conversations. The Here to Be Program was created to be a platform and resource for organizations who use yoga for social justice and healing. I have the utmost respect for the Here to Be team who led the summit and the way they did it. Things got messy and they were okay with being in the mess because it was necessary for healing and moving forward. 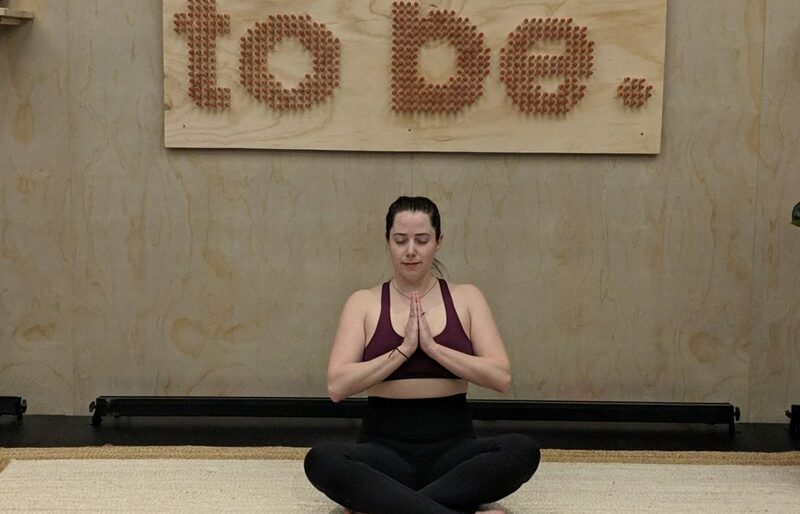 lululemon is setting an example for what corporate culture, responsibility, and transformation looks like. I appreciate that they were willing to have conversations on accountability and responsibility. On a personal level, I was forced to be with my mess, the baggage that I take with me in every space I enter. I allowed myself space to cry such necessary tears. I allowed myself space to grieve and grow. I allowed myself space to be vulnerable. In the vulnerability, I again ask myself the question of who/what/how am I here to be. I reconfirmed that my yoga is way more than the physical practice I do. My yoga is the work I do at I Grow Chicago. It is the way that I connect with people with love and non-judgement. Yoga is non-violence. Yoga is my self-care so that I may continue to do the work that I know I was destined to do. Yoga is dismantling systems built on racism. Yoga is me speaking my truth.